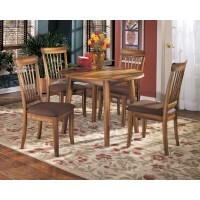 The right dining room furniture fits more than just its designated space in your home. 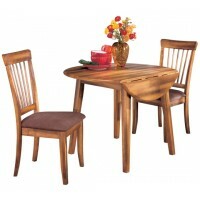 It fits the atmosphere you aim to create when gathering for food, drink, and conversation with family and friends. It makes you feel good when you see it and use it. And it holds up well to daily use. From marble tops to leather seats and from pedestal tables to captain’s tables, we have an outstanding selection of dining room furniture for every taste and budget. What’s your style? 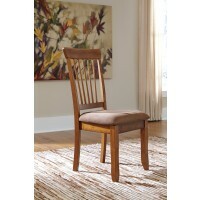 Looking for grand and traditional dining room furniture, like an eight-seat set with rich cherry tones, upholstered seating, and scrollwork detailing? How about something upcountry like whitewashed wood with curving balusters and bentwood chairs? 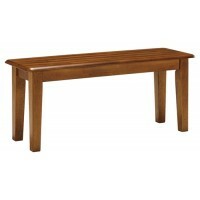 Need to find a pub table to fit a smaller space? Come see us! Our dining room furniture selection includes everything you need to complete a comfortable dining atmosphere—not only tables and chairs but also dry bars and bar stools, china cabinets, buffets, wine racks, storage cabinets, and servers.